I'm sorry Proraso but NOOOOO! Wow, I never knew these versions existed! Wood and Spice is already on order for me! Wow even the good old Proraso is getting on the "artisan" scents bandwagon... whats next ... A Proraso 'Night Music"?? Meh, they're selling out as they see there's a growing niche market. Proraso reminds me of a great movie that tried to turn itself into a franchise and pissed many diehard fans off. Each new iteration gets more bland. The Red is decent. The Blue is instantly forgettable, and blue balm is awful greasy stuff. The Sandalwood aftershave smells nice but is oily. If they want me to keep buying their aftershaves, they need to put alcohol in it. They at least had the sense to drop the green tea and oat, foul stuff. I threw mine out. I'll always use green, but I couldn't care less what they bring out next, as nothing else they do will be as good, or last as long. I, for one, welcome any new vetiver shave soap and splash! Can anyone suggest a supplier? 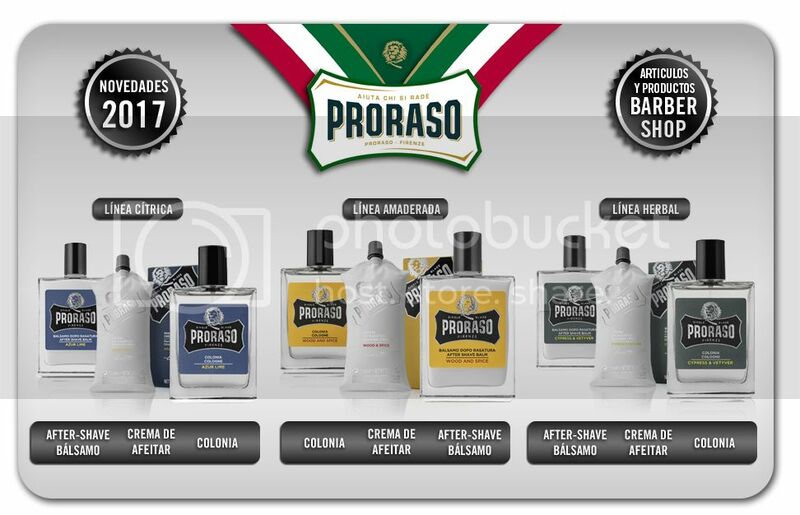 Surely, if anyone deserves to cash in a bit with the wet shaving renaissance, it is Proraso. They've been helping budget, beginner and battle-scared shavers since the 1950s. ITT people who are no longer the intended market for Proraso. Brands and products evolve, this is how they stay viable, if you find yourself thinking 'why did they do that ? ', chances are you are no longer the intended market. Well some evolve successfully and others jump the shark. Vegemite remains iconic - Cheesy mite was a flash in the pan. Coke is still selling strongly while 'New Coke' or whatever it was called crashed and burned. There are some brands which can take their reputation from one product line and build a suite of 'related' products successfully. In some cases this is likely to result in the original market dropping off, I can see R M Williams doing that under their new ownership. This can be successful in a ROI sense and build profitability and margins. Other businesses though find that, while not attracting the same attention, simply sticking to their knitting is the best long term strategy. I'm not sure that either approach is necessarily a guarantee of viability. The former certainly has more appeal to CEOs looking to build their own profile of success though. I may not be the intended market but I simply cannot connect Proraso with high quality scents and artisan products. I cannot imagine that their products will have the subtlety, nuance and completeness of, yes, your APR range, or the B&M, or P&B or any number of artisan products. My view, and it is simply that, is that Proraso produces the 'air-freshener' equivalents in the aftershave market. I can forgive that in an iconic product like their Eucalyptus and Menthol. Once they move into other areas I start to compare them against products that are simply better. I don't like their Sandalwood - I think it is bland and lacking in any complexity, I suspect these will be the same. I really don't see the issue here, since they haven't discontinued the old school line and haven't raised their prices (of said old school line) significantly? As with the whole artisan discussion (and I'm not saying this is the case with Proraso): a lot of old established companies (especially from Europe, and with that I mean if course the Mainland) have been producing artisan quality products for the mass market for decades, if not centuries now. Let's take German beer for example, that has been brewed under the purity law for almost 1000 years now. I'll take 99% of the cheap German beers every day over the so called "artisan" and "microbrewery" stuff we get here in the New World. Yet a bottle (and with that I mean of course 500 ml) costs there often ~50 Euro Cents. I am not saying Proraso is a great Artisan product, but it is way better than some of the stuff you get for 2-5 times the price. What I think is happening is that like coke, proraso are trying to diversify, you can't have a whole company standing on a single product these days. There is too much risk something will happen to your market or your supply chain and you are out of a job. So you release a few new versions and see what takes and cull what doesn't. For each few iterations there would be only one or two that are long term. The rest are lucky if they break even. For each new coke, we have Coke Zero (which is the only soft drink I actually consume). Now if the government introduce a sugar tax, Coke have a sort of insurance policy. I don't think proraso is competing with artisans the economy of scale isn't there, but it wouldn't hurt grabbing a bit of market share from the gloop manufacturers. And as wet shaving as a hobby appears to have a renaissance it's a good time to get new products out. You will at the very least grab hold of the dumdums like me who were just starting out and have no idea who's the good makers are. And can't be bothered spending $$$ on soap, or waiting on overseas suppliers. Best thing I ever did was find my way to this forum and though this place to the stray whiskers. Pa. sorry for the long winded post.